AIFF General Secretary and I-League CEO, Sunando Dhar met the representatives of Sporting Clube de Goa, Salgaocar FC and Dempo SC. After the meeting, the clubs issued a joint statement putting forward their demands. 1. No forced relegation of the I-league to a second tier league from the nation’s premier competition. All teams qualified for the I-League should be part of the top league. 2. 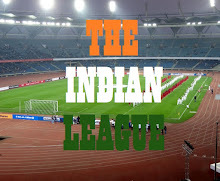 No bidding & no franchise fees for existing I-League clubs, merit being the only qualifying factor. 3. All governance issues should rest with AIFF exclusively. The AIFF General Secretary Kushal Das agreed to call a meeting of all I-League clubs in order to elicit their views on the matter. He also will be consulting with the AIFF President and the executive committee along with their marketing partners IMG-Relience to revert back with a final binding proposal on or before 31 July 2016.